The United Kingdom’s Health Protection Agency (HPA) has announced that a measles outbreak in the Merseyside area is the largest since the MMR vaccine (vaccination for measles, mumps and rubella) was introduced in 1988. There have been 113 confirmed cases, and another 43 probable cases–28 of these individuals needed hospital treatment. About one-quarter of the confirmed cases were teenagers (15-18 years old) and young adults who were never vaccinated as children. Another quarter of the cases were in children under the age of 13 months who are too young to be vaccinated. The majority of the remaining confirmed cases were unvaccinated children over 13 months and less than 15 years old. Measles is just so contagious, that one unvaccinated child with the infection can pass that to nearly anyone that lacks immunity to the disease. An infected child can walk into a pediatrician’s office, where there may be infants who are too young for the vaccination, and pass it to them. 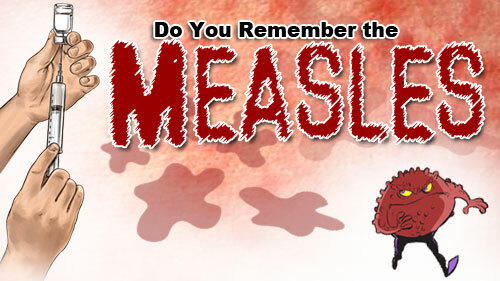 Measles is not just a simple disease with a few red spots on your skin. It can lead to more serious complications like encephalitis and corneal scarring. In fact, complications are more frequent and severe in older teenagers and young adults (even if healthy), so the need for vaccination has significant benefits even if you’re an adult. Measles is highly infectious and anyone who has not previously been vaccinated is at risk when it gets into a community, as it has done here. In this outbreak we have seen measles spreading amongst unvaccinated children, teenagers and young adults and affecting infants and toddlers who are too young to be vaccinated. Our advice to teenagers and young adults is to arrange vaccination now. These can be serious illnesses with the potential for side effects that can include pneumonia, meningitis and encephalitis and, on very rare occasions, people die from measles. Avoiding this vaccine makes no sense whatsoever. We don’t know why these kids were not vaccinated, but let’s remember that Andy Wakefield perpetrated his “MMR vaccines cause autism” fraud in the UK first. via British measles outbreak called the worst since the introduction of the MMR vaccine | Vaccine News Daily.